Easily Saw Through PVC Pipe, ABS Pipe, and Nylon Rope With Mason's Line - Utter Buzz! Some pipes are in spots too tight to fit a saw or other tool for cutting. 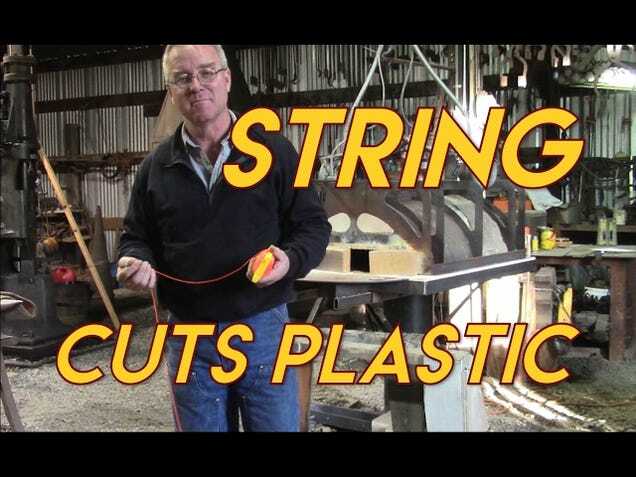 Mason’s line, a cheap, sturdy nylon string can get the job done, and quickly saw through other things like rope too.